I collage tiny abstracts from scavenged paper -- a long-grown child's half-filled coloring book; a pilot's weather manual or her correspondence; Prohibition-era ledgers. Then I scan the original, and treat it as a photographer would a negative, rendering from it large, high quality ink jet prints. Prints are available currently at 24x30 inches, and 44x56 inches. This scale exposes detail not otherwise visible: half tone dots, paper fibers, jutters in ink laid down by the nib of a pen in 1863. Handmade, one by one, the prints retain the shadows and texture of the original. The result is sensual, lush and rich, invitingly tactile. Each of Kimberly McClintock’s prints begins as a tiny (2 to 4 inch square) collage, assembled from original children’s book illustrations, postcards, maps, advertisements, and other documents and found paper artifacts. Once finished, the collage is scanned at high resolution, color corrected, and archivally printed in small editions at twenty to thirty times its original size. In her prints, postage stamps are rendered a foot wide, individual half-tone dots are the size of pencil erasers. The original collage is never altered during the scanning and printing process, only magnified in order to reveal the unique beauty of graphic elements otherwise too small to see and the complex microstructure of the substrate materials: the tangled arrangement of paper fibers, the nuanced opacity of minuscule ink blots, ghosted images transferred by decades of contact or bleed-through, the subtle gradations of cream and grey in the foxed edges of century-old paper. 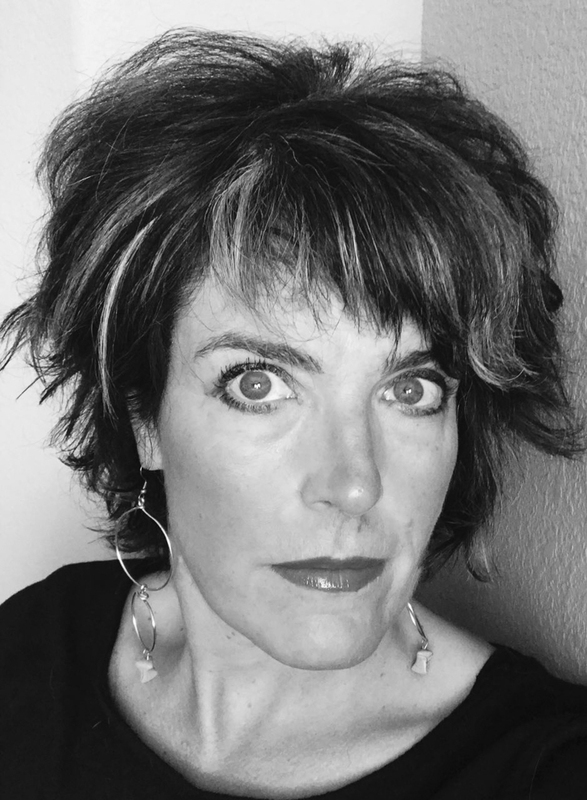 A poet for over thirty years, Kimberly considers her visual art a translation to the visual domain of the same principles of contrast, association, and juxtaposition at work in poetry. The titles of many of her prints are drawn from the work of poets she admires. Kimberly McClintock grew up in southern New Jersey. For the last twenty years, she has made her home on Colorado’s Front Range. Receive sneak peeks, updates, exclusive offers and more -- but never, ever more than once a month. All images copyright Kimberly McClintock. All rights reserved.